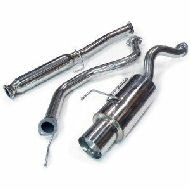 We can source and fit part or complete systems for practically any make of vehicle. Whether mild steel or stainless we source only quality components. The bulk of our supplies are made by Klarius®, a leading European manufacturer. This is an essential emission-control component that rarely fails. In the event that yours needs replacing, we can replace it with a Klarius® type approved component. 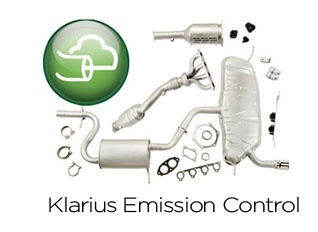 Klarius are the biggest European manufacturer of aftermarket exhaust and emission-control products. Their catalytic converters have a lifetime warranty. Klarius components are type approved by the UK Vehicle Certification Agency (VCA), and other certification agencies in Europe and worldwide. 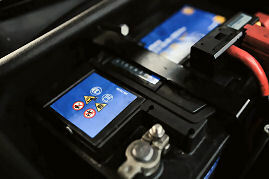 Although modern batteries are long-lived, their performance will eventually degrade to the point where starting becomes difficult. Usually problems are first noticed in late autumn when the weather gets colder and evenings get darker. We can source and fit the exact type replacement for your vehicle at a range of prices to suit your budget.